Have you ever noticed how many times God tells His people not to be afraid? As I have been reading about Joshua, Moses’ successor, I have heard God tell him over and over to be strong and courageous. Joshua had a huge mission ahead of him. 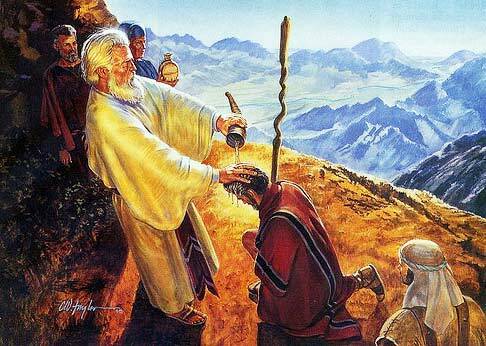 He would be the one to lead the children of Israel into the Promised Land. There were lots of strong enemies and the task was daunting. I am encouraged by the fact that Joshua must have felt some fear. God would not have told him over and over not to be afraid if he were completely fearless in the face of all that was before him. God promised that He would go before him and be with him. He pledged never to leave him nor forsake him. What a comfort that must have been to Joshua! I am glad that God put these stories in the Bible because they give me courage to face my own life experiences. Whenever I feel afraid I return again and again to the promises God gave to Joshua, to others, and to me. The God Who never changes promises never to leave nor forsake me either. And He will be there with you, too, as you learn to know and trust Him. Do you have something scary ahead of you? You are not alone. Put your trust in the God of Joshua. Do not be afraid. He will go with you. He will never leave you nor forsake you.